Pelvic Floor Dysfunction Exercises (or Kegel's): Pelvic floor muscles are the layer of muscles that support the organs the bladder and bowel in men, and bladder, bowel and uterus in women. To view a page written specifically for our male readers, please click here for Kegel Exercises Men. These muscles are a bit like a sling or platform. They extend from the pubic bone (at the front) to tailbone or coccyx (at the base of your spine) and between sitting bones (side to side). SEE -Anatomy of urinary bladder and pelvis with pelvic floor muscles (dark red curve). They are part of what we call “core” muscles. Others are your diaphragm, transverse abdominus (the one that flattens your tummy) and multifidus (either side of lumbar spine) All of these muscles are activated and strengthened during exercise. Below is another perspective on your pelvic floor muscles. 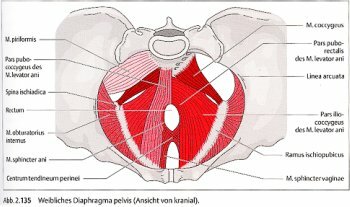 How do I do THE PELVIC FLOOR TECHNIQUE. You have a couple of options, so read instructions carefully. You'll truly benefit. Don't worry if you don't get it at first, I guarantee that, with practice, you'll manage. Good luck! Why do these muscles weaken? At this stage, it would be useful to read through the these reasons and the RISK FACTORS here at: Bladder Control Exercise you need to avoid, before going further. Then come back to this page. 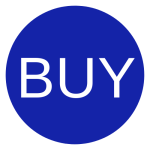 You will need to eliminate these factors, or at least modify them, before you will be able to enjoy the full benefits. You may also wish to know more about MENOPAUSE. For an Holistic Doctor’s account of Menopause, visit this link for valuable insight into the Menopause Challenge. What are the Benefits of doing Pelvic Floor Dysfunction Exercises? increased social confidence and quality of life. 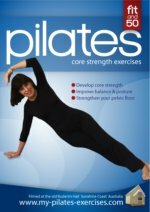 They are integral in “turning on” other abdominal muscles such as the transverses abdominals for developing core strength in pilates. They work with back muscles to stabilise and support the spine. Pelvic Floor Dysfunction Exercises TIP Strangely, it is beneficial to hold visiting the toilet from as long as is comfortable to "train" those muscles to hold the load. That in itself, is one of our seniors pelvic floor exercises. Also, drink lots of water because the bladder has difficulty coping if you are not properly hydrated. How about giving your guests a little entertainment when they use your loo? They’ll exit with a smile on their face, apart from learning something new with this little POEM.